Srinagar, Mar 09: Strongly reacting to the National Investigation Agency’s summon to the Kashmir’s chief cleric and world renowned religious scholar Mirwaiz Umar Farooq the Kashmir one of historical traders body Beopar Mandal Mahraj Gunj, Shahre Khass Traders & Manufacturers Coordination Committee & Jamia Market Traders Federation has called for complete shutdown in and around Old City Srinagar on Sunday and Monday. In a statement issued here the Trade Bodies said such kind of ‘nefarious designs’ to intimidate the people of Kashmir will not be tolerated at all and would be resisted tooth and nail. The Trade Bodies said summoning Mirwaiz Umar Farooq and Syed Naseem Geelani is totally undemocratic and will not be tolerated by the people of Kashmir in general and the trader fraternity in particular. 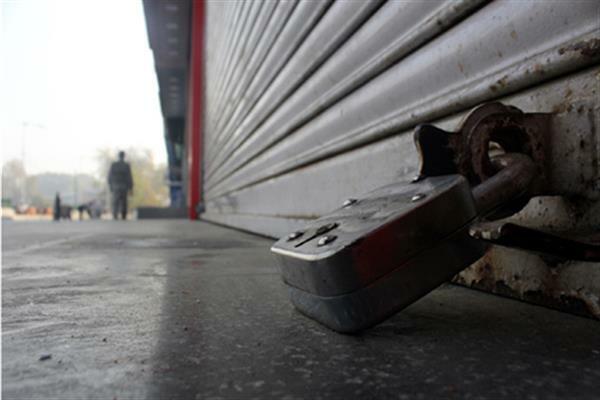 The Trade Bodies said all the shops, transport, schools and offices will remain closed on Sunday and Monday against this gruesome move by the NIA.